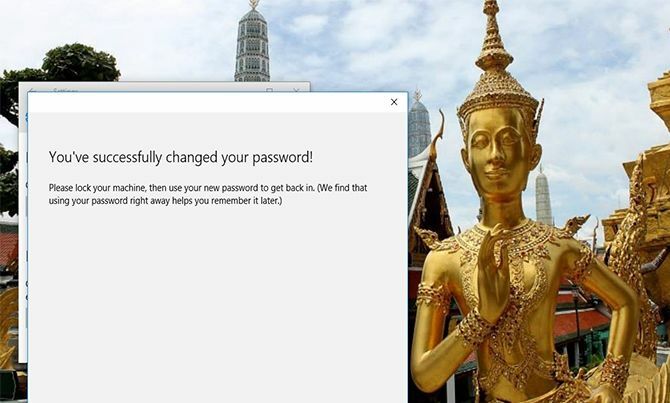 How to Change Your Windows 10 Password? Even if you don’t have a treasure map located in your files, your Windows password is still very important. If you suspect someone has your password, you’ve been re-using passwords and decide to be safer, or simply feel like changing it, Windows 10 gives you three different options to go about changing your password. You can always choose a regular new password we recommend using a combination of letters, numbers, and symbols. Usually it’s best if these passwords are at least eight characters long. Although we advise you to use an alphanumeric password format because it’s safer, you can also change your password into a pin or picture that lets you sign in to your Microsoft account quicker. Here’s how to change your windows 10 password if you need to! 6. In order to change your windows 10 password, you have to sign in with your current Microsoft account password. Enter your password in the box. Click Sign in. 3. Enter your Microsoft account password to verify it’s your account. Click OK.
5. Click on Use this picture if you like it or click on Choose new picture if you don’t. You can drag your photo to position it however you want. If you see this message then you successfully created your picture password! This photo will show up when you sign into your Microsoft account. Simply retrace your gestures and you’ll be signed in. Previous articleHow to Submit Your Website to Google, Bing, Yahoo, and Other Search Engines? Next articleHow to Generate Targeted Traffic for Your Blog or Website?